Tell us about the concept behind shelf / life and why it was started? 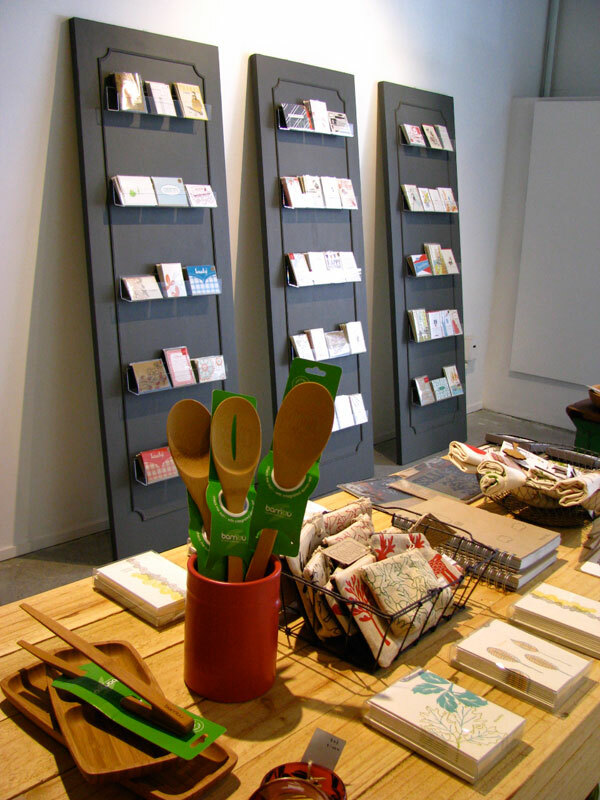 The concept for shelf / life was to create a shop that showcases craft and design from around the world. In addition to this, we wanted to ensure that all the products in our store are designed using environmentally responsible materials or manufactured using ethical production methods. 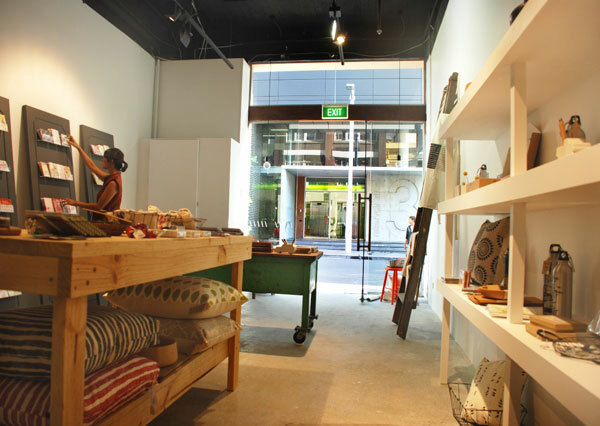 A little place of my own for such things has always been a dream of mine and after years of witnessing the rise in popularity of independent designers and crafty folk online, I felt that Sydney could benefit from having a permanent space where people could see these types of products in the flesh. How has the reaction been so far since opening the store in late December? We opened our doors a week before Christmas and weren’t really expecting much as I thought most people would either already be away on holidays or have bought all of their presents. To my surprise the reaction was great! I was overwhelmed by the support of locals and regulars to the area, and after 4 weeks of being open I am still enjoying watching peoples’ reactions when they discover we’re here. What kind of products can we expect to discover in shelf / life? 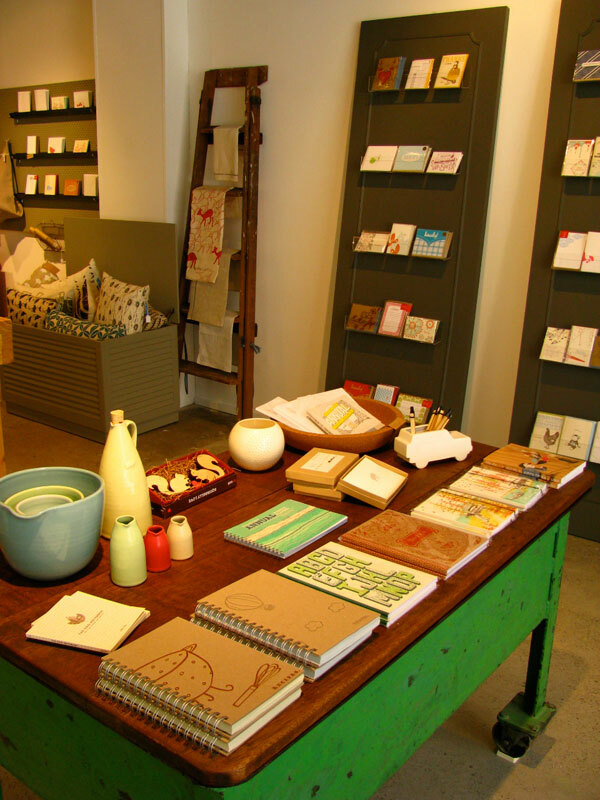 We have a huge array of letterpressed and screenprinted greeting cards and stationery, along with things for the home – both functional and decorative. 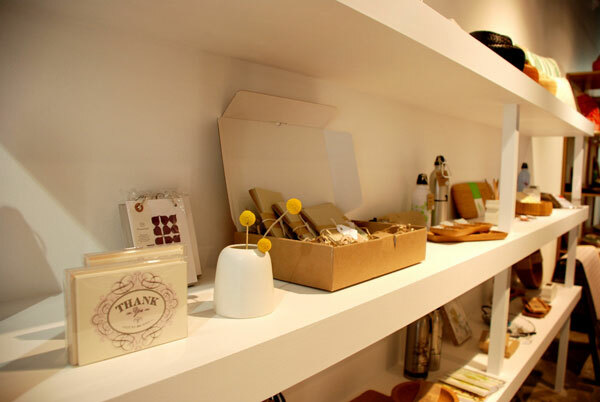 You’ll find beautiful ceramic vessels, graphic tea towels and a range of bamboo and cork kitchen products. You will also discover some quirky and colourful jewellery pieces, stainless steel drink bottles and a variety of carry bags. What is your background and what lead you to opening your store? I worked as an Interior Designer for 5 years but for as long as I can remember the thought of owning a little shop of my own has had a certain appeal. It was something I thought would come later in life for me, but with the support of my partner Brendan and my family and friends I decided to jump in head first! There were a few reasons I decided to open the store now – some were related to my job but others were as simple as the frustration I felt when trying to buy a unique gift card for someone. I have spent years scouring the internet during lunch breaks, drooling over beautifully designed things and dreaming of having them all in one space on display for people who will appreciate them. What inspires you both for shelf / life and personally speaking? shelf / life has basically stemmed from what inspires me personally. I am naturally drawn to objects and surfaces that make me want to reach out and touch them. The tactility of handmade ceramic pieces and letterpressed paper are what really make me excited! 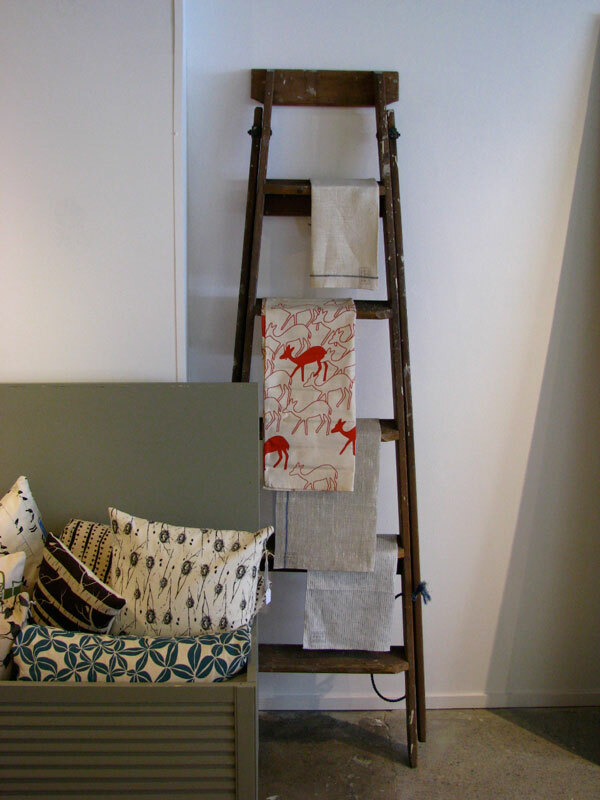 Outside of shelf / life, I am inspired by the great outdoors, exploring foreign cities, and people with the ability to design or create in beautiful, unique and intelligent ways – that goes for furniture, objects, food, flowers, buildings, anything! 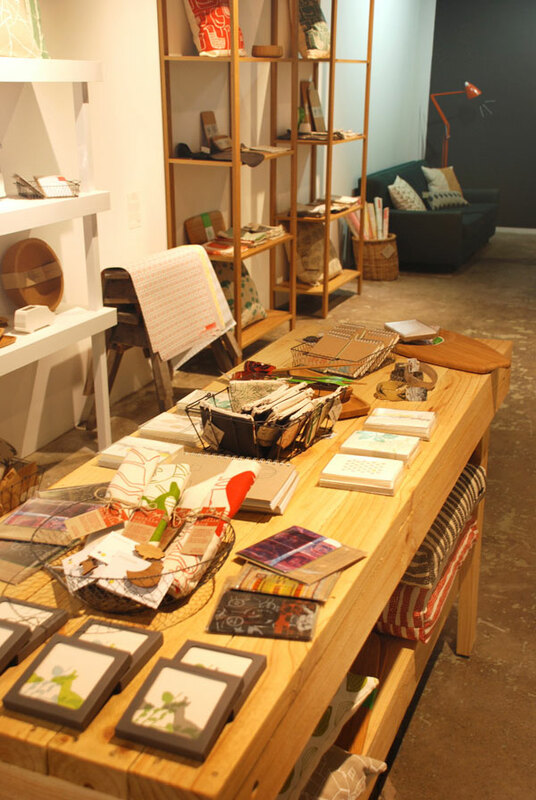 Why do you think it was important to open a store based on ethical design principles? For me personally, it wasn’t really a conscious decision – it just felt like the right thing to do. I have opened a store that displays great design and for me that includes the fact that these pieces have been made using ethical principles without compromising their quality of design or manufacture. So why not? Why choose something that is possibly causing harm to the planet and its inhabitants when you can find something of equal or better quality that supports independent designers and traditional craft communities, as well as helping to alleviate the strain on the environment. It has been a learning curve for me too. I have become a lot more aware of purchases I make, thinking about the production process of items and the source of materials or ingredients. The more people that attempt to increase this awareness, the better. On the flip side, if customers purchase items in the store and fail to notice the ethos behind the products, appreciating them solely for their design qualities, then they have still inadvertently done their bit. Win-win! What have you learnt most about starting your business? Well there are a few lessons that I have learnt the hard way. One of the biggest things for me is persistence and being ready for the unexpected. Having been very hands-on during the design/fit-out process as well as setting up the business side of things I have learned that you have to be proactive, flexible and calm under pressure. Most importantly though, I have learned to truly appreciate the support and effort my family and close friends have put in with me. What products do you accept in the store and what are you always looking for? 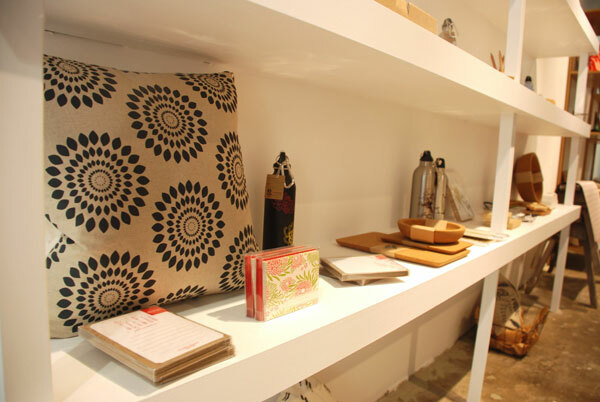 We are always on the lookout for high quality, interesting and thoughtful design, whether it be homewares, stationery or lifestyle related. We tend to favour designers that are transparent about their manufacturing techniques and we support all things handmade. What new exciting things can we expect to discover coming into the shop? There will be a few seasonal changes as we come into the cooler weather. You will definitely find the introduction of more ceramic pieces from local and international artists, awesome gift cards for special occasions as well as more artisan and craft-based goods… and hopefully a small range designed by me. The shelf / life blog is regularly updated with new arrivals. Ooooh it looks gorgeous…I need to make time to visit and shop! I’ve been and bought there. 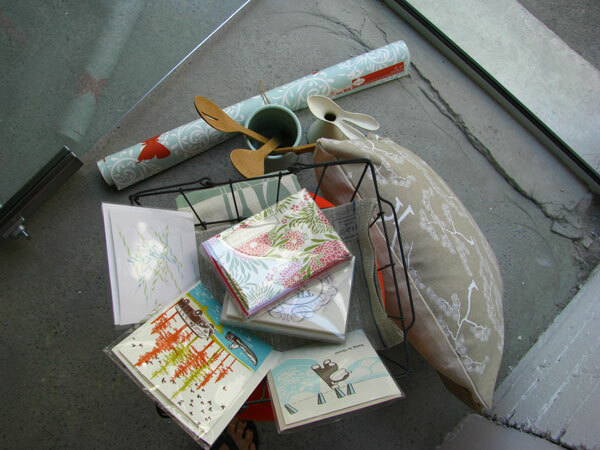 Lots of lovely things!! My neighbour swears by this shop, and have seen some lovely things purchased there, its a must on my next shopping expedition into the City. wow, looks amazing! will be visiting nearby next week and will definitely find the time to drop in! I love this shop! I buy all my gifts there as everything is so unique! Well done Jess. It looks amazing!